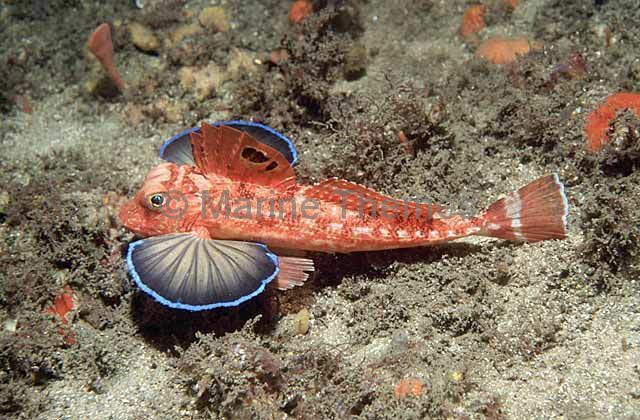 Ruddy Gurnard Perch (Neosebastes scorpaenoides) Commercial species. 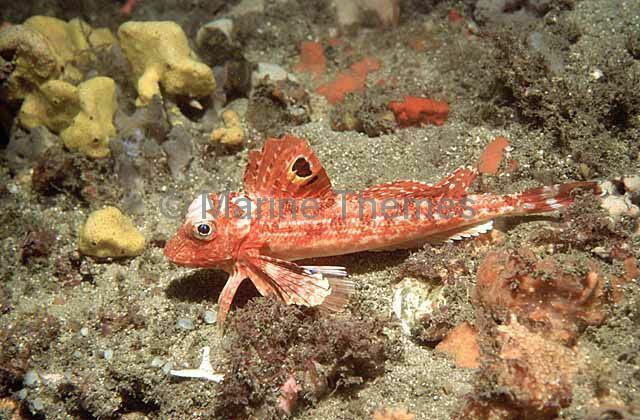 Gurnard Perch (Neosebastes scorpaenoides) resting in red algae bed. 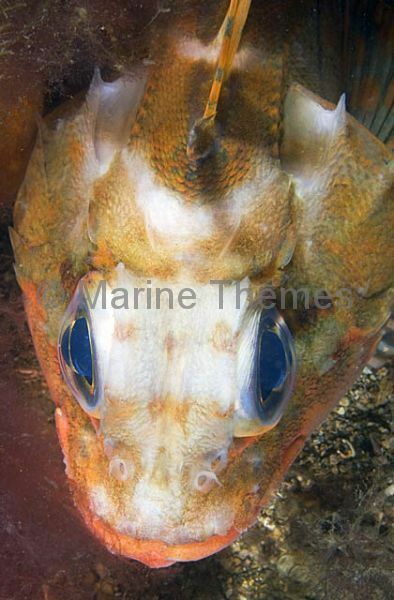 Gurnard Perch (Neosebastes scorpaenoides) portrait. 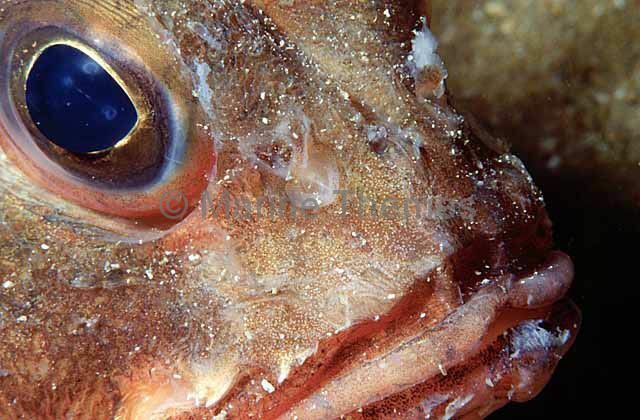 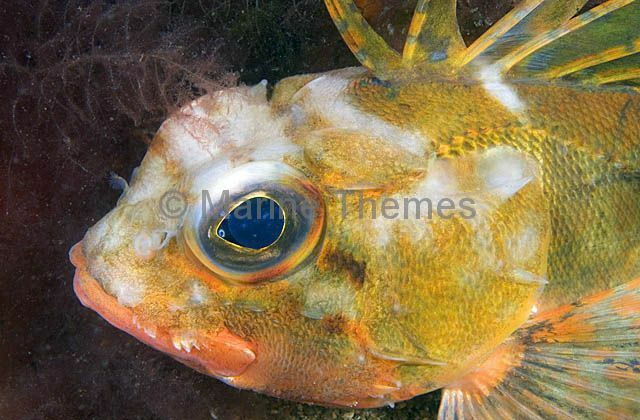 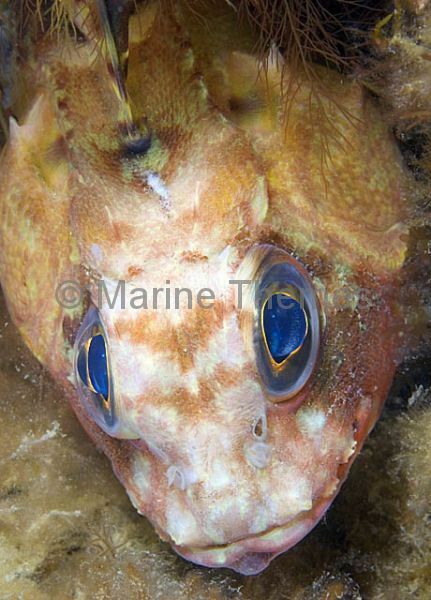 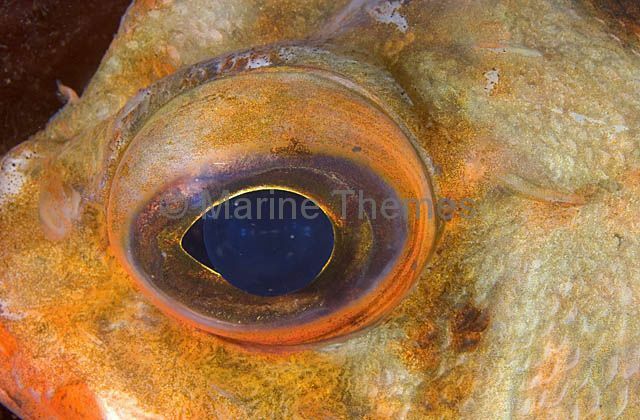 Gurnard Perch (Neosebastes scorpaenoides) Detail of eye. 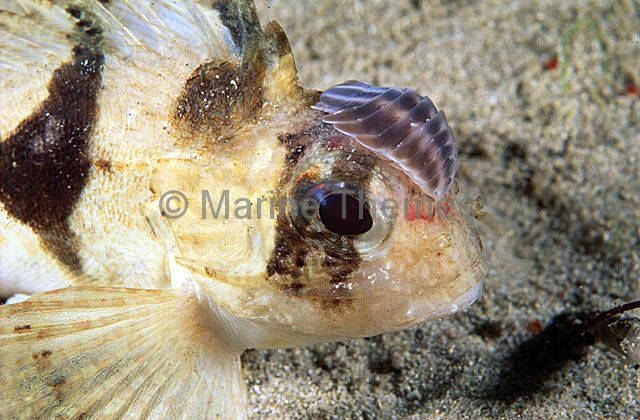 Fortesque (Centropogon australis) with Striped Sea Louse (Nerocila laticauda) parasite on head. 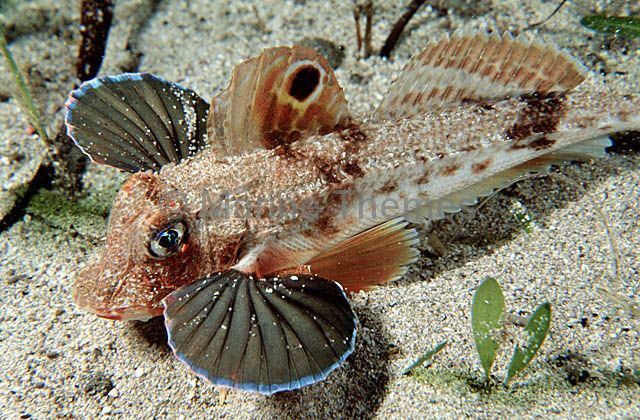 Southern Spiny Gurnard (Lepidotrigla papilio) in alarm posture showing false eye spot (ocellus) on dorsal fin and expanded pectoral fins to make fish appear bigger and to imitate large, intimidating eyes when viewed from above. 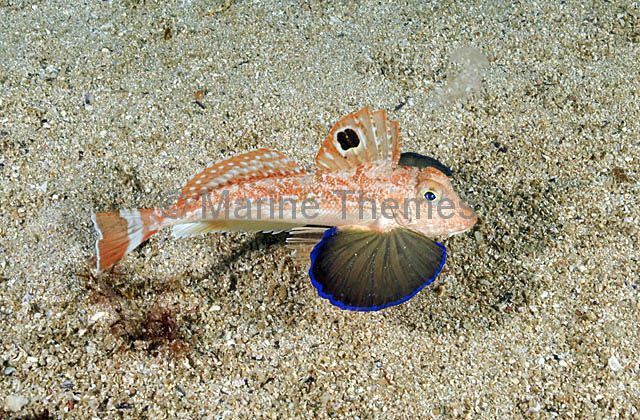 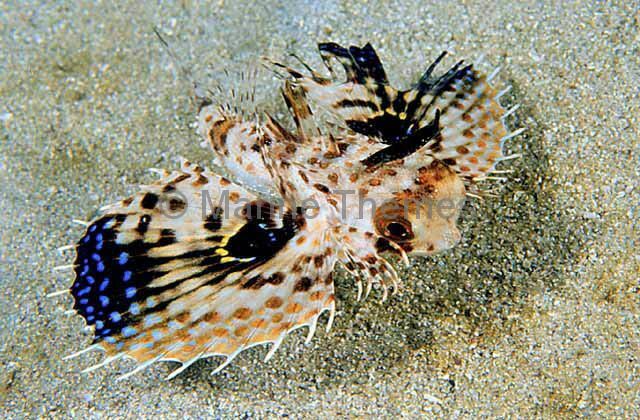 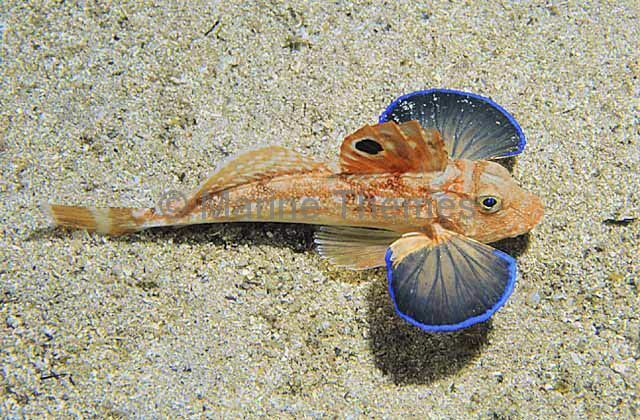 Southern Spiny Gurnard (Lepidotrigla papilio) with fins unfurled in threat display showing false eye or ocellus on dorsal fin. 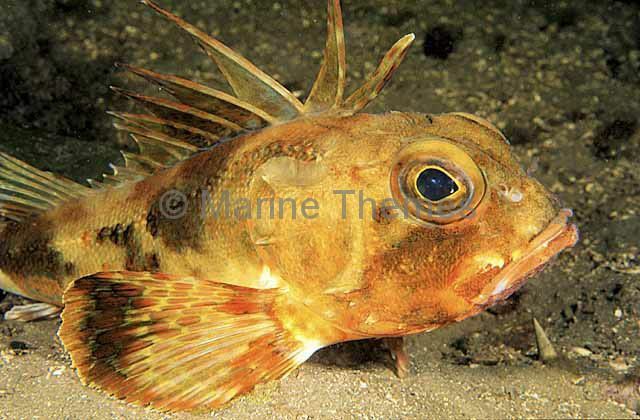 Eastern Spiny Gurnard (Lepidotrigla pleuracanthica) Threat display showing false eye ocellus on dorsal fin. 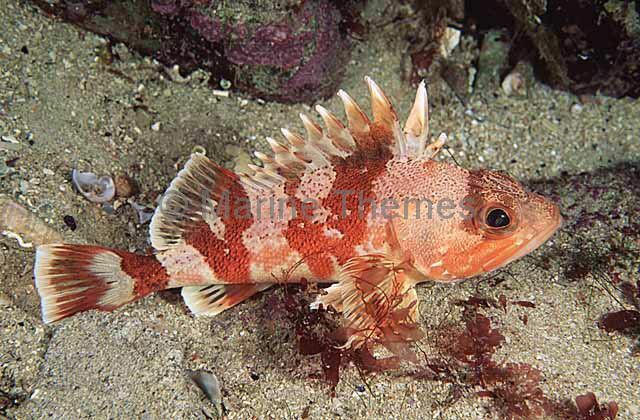 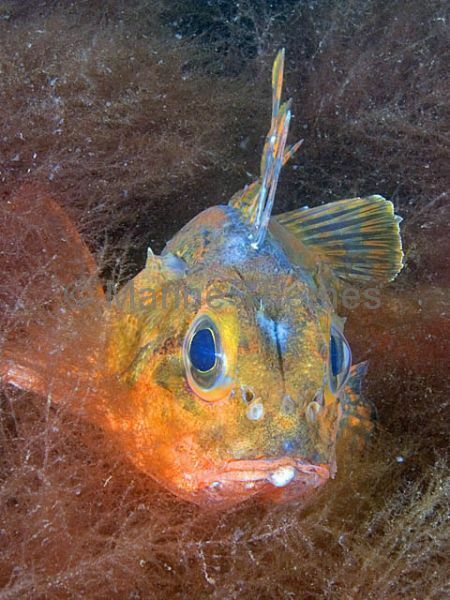 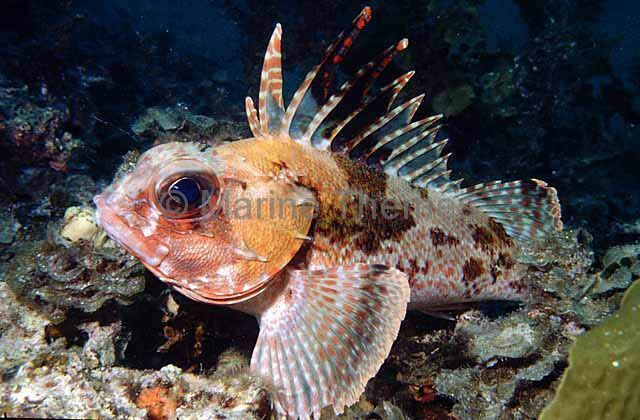 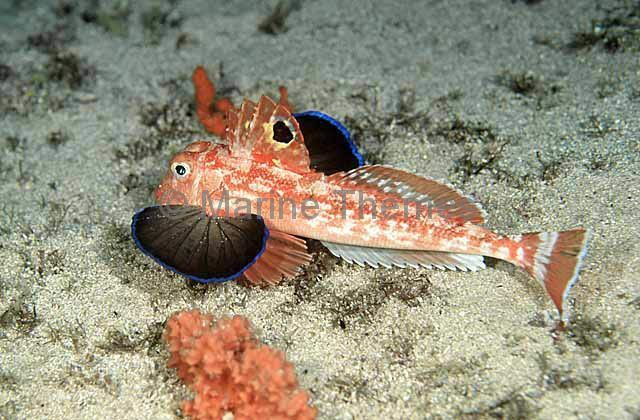 Eastern Spiny Gurnard (Lepidotrigla pleuracanthica) with fins raised in alarm pose. 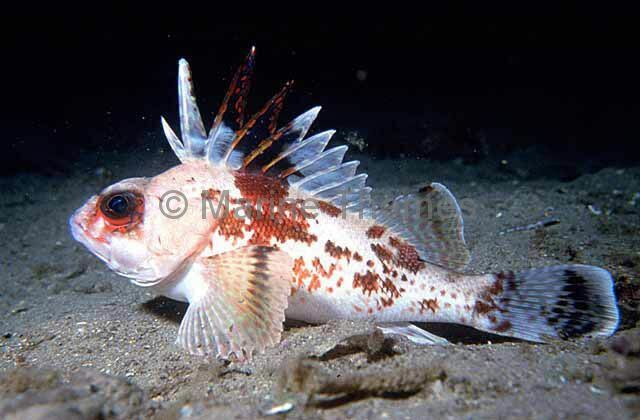 Eastern Spiny Gurnard (Lepidotrigla pleuracanthica) with fins open in alarm display. 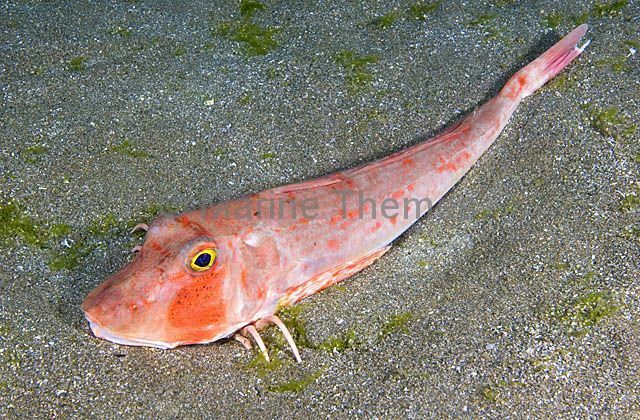 Red Gurnard (Chelidonichthys spinosus) resting in sandy hollow. 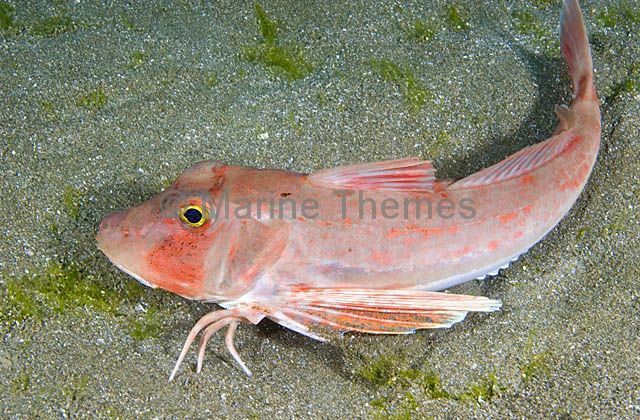 Red Gurnard (Chelidonichthys spinosus) walking across sandy sea bed using its barbels to detect prey under the surface of the sand.